Clams, turnips and pasta? Not a combination that immediately comes to mind. 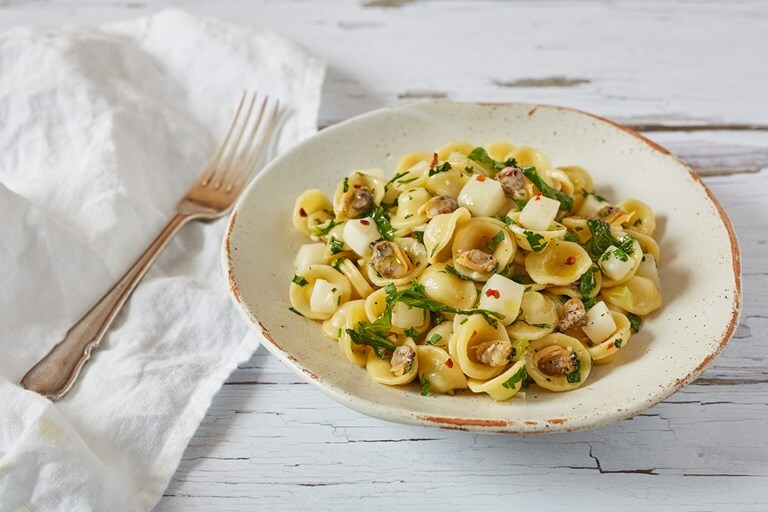 But once you try this dish by Anna Tobias, you will be treated to this genius combination of bitter turnips, salty clams and comforting pasta, all underpinned with a hint of warmth from a pinch of chilli flakes. Read Anna's article for more dazzlingly creative dishes using the under-appreciated turnip. This sauce would also be delicious served simply on a bruschetta or else on soft polenta. You could also add a pulse (such as cannellini beans) to the sauce to create a hearty soup.